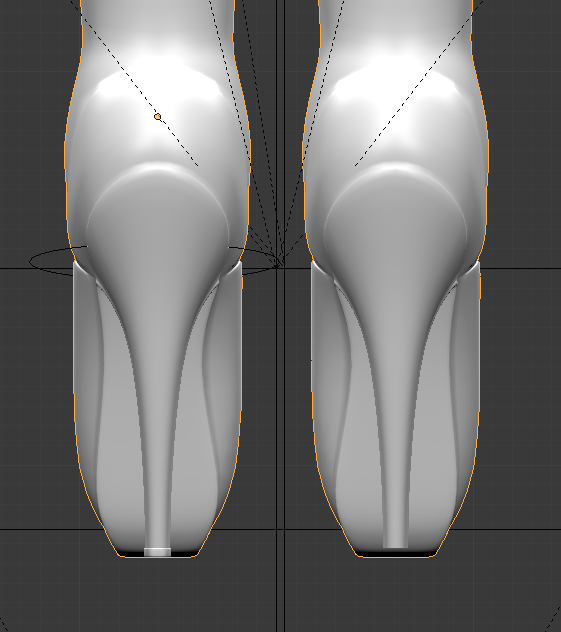 I tried to give a little bit of shape to the soles, vaguely reminiscent of ballet slippers, and a slight asymmetry to get a left and right shoe. 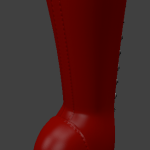 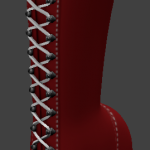 I’ve also done the paneling for the spine of the boot, and added stitching and color masking. 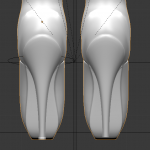 Omg, I cannot wait to see them locked on my feet.